Hours after former FBI Deputy Director Andrew McCabe was fired by Attorney General Jeff Sessions, multiple outlets reported that he had compiled memos of his dealings with President Trump — and that he had already turned over the documents to Special Counsel Robert Mueller. Axios reports that McCabe also gave an interview to Mueller. McCabe told CNN that he had four interactions with President Trump, including three in-person encounters and one phone call. 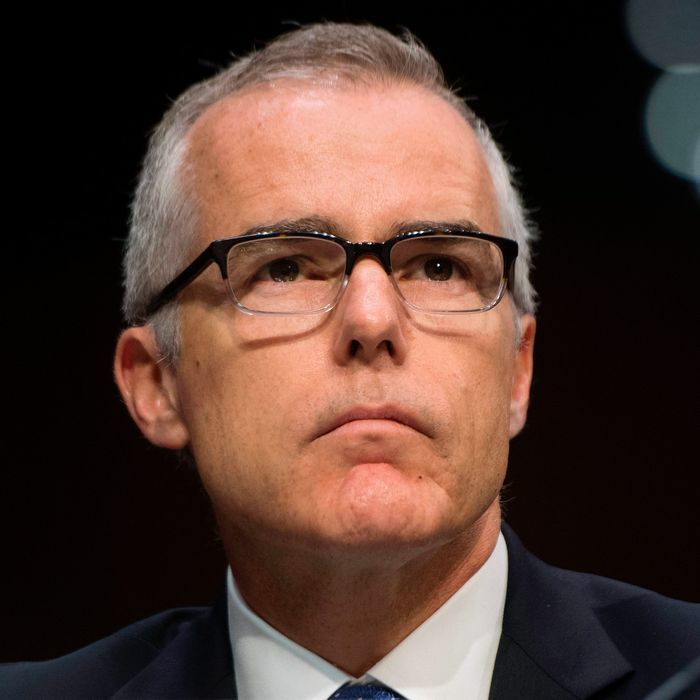 During every one of those instances, McCabe said, Trump chided him about his wife, Jill McCabe, who in 2015 ran an unsuccessful campaign for Virginia State Senate as a Democrat. Trump has maintained, without evidence, that her party affiliation and association with Hillary Clinton ally Terry McAuliffe colored her husband’s behavior at the FBI. McCabe claims that Trump also asked him who he had voted for in the 2016 election, a detail that had previously been reported. The memos are reportedly similar to the ones former FBI Director James Comey kept about his interactions with Trump. In those notes, Comey wrote that Trump had requested that he drop an investigation into former National Security Adviser Michael Flynn, and had asked for a loyalty pledge. McCabe’s memos reportedly include conversations he had with Comey about those incidents, evidence that could lend credence to a possible obstruction of justice charge against the president. Sessions claims that the firing was the result of McCabe leaking to the media and misleading bureau investigators about the Hillary Clinton email investigation. In multiple tweets on Saturday, Trump celebrated McCabe’s firing.